This week’s guest is Kristen Iversen, author of the new book, Full Body Burden: Growing Up in the Nuclear Shadow of Rocky Flats, published this month by Crown Books in the U.S. and Random House in the U.K. Read the press release about the book. Watch the book trailer here. Iversen is Director of the MFA Program in Creative Writing at The University of Memphis, and also Editor-in-Chief of The Pinch, an award-winning literary journal. She grew up in Arvada, Colorado near the Rocky Flats nuclear weapons facility, and currently lives in Memphis. As background, read Iversen’s March 10 New York Times opinion piece, Fallout. Also read Naomi Wolf’s 2012 article From Rocky Flats to Fukushima: This Nuclear Folly and The day Denver was nearly lost. During the interview, the research of Carl John is mentioned. Read the Wikipedia entry Radioactive contamination from the Rocky Flats Plant which states that “An early, focused study by Dr. Carl Johnson, health director for Jefferson County, showed a 45 percent increase in congenital birth defects in Denver suburbs downwind of Rocky Flats compared to the rest of Colorado.” Iversen mentions the book The Plutonium Files by Eileen Welsome. 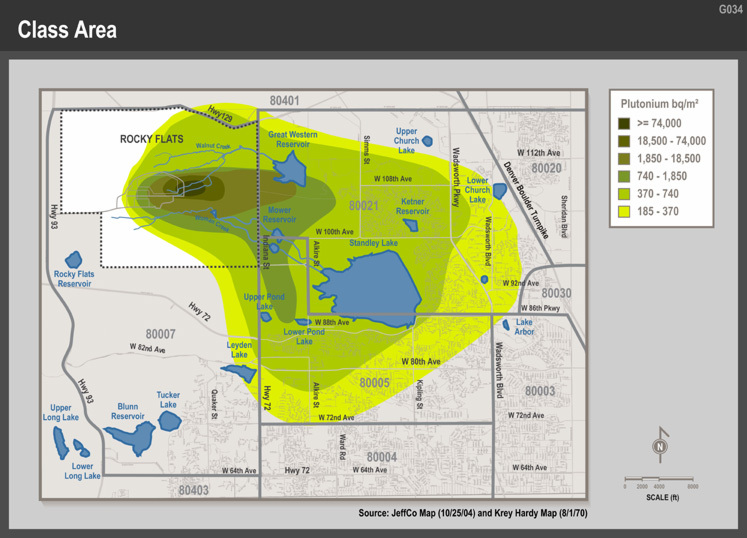 She also refers to this map showing the Rocky Flats contamination zone (note: large file size). A compressed version of the same map can be seen here. For more information, be sure to see the recently re-released 1983 documentary, Dark Circle. The Emmy Award-winning film includes much footage of the Rocky Flats plant and its radioactive pollution of neighborhoods around Denver. This entry was posted on Friday, June 8th, 2012 at 12:00 am	and is filed under Uncategorized. You can follow any responses to this entry through the RSS 2.0 feed. Both comments and pings are currently closed.